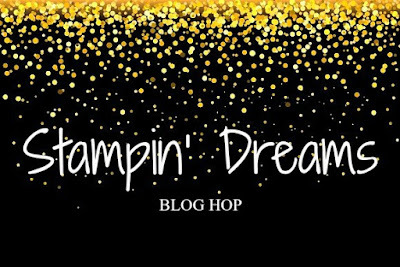 Thanks for joining me & the crew for another amazing Stampin' Dreams Blog Hop! Have we got a show for you! 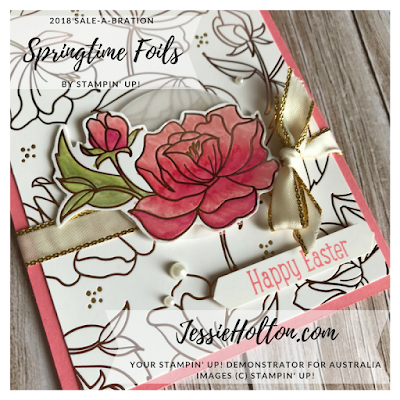 Tonight we are creating with an Easter Theme, although anything along the lines of bunnies, chocolate or spring time themes are also included in this. 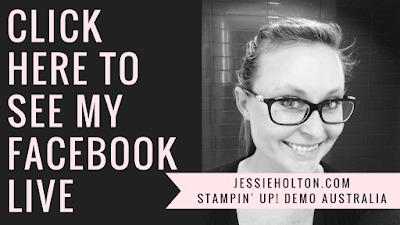 Whether you are starting your way here with me or one of the crew, I hope you can hop all the way around & show us all some love! 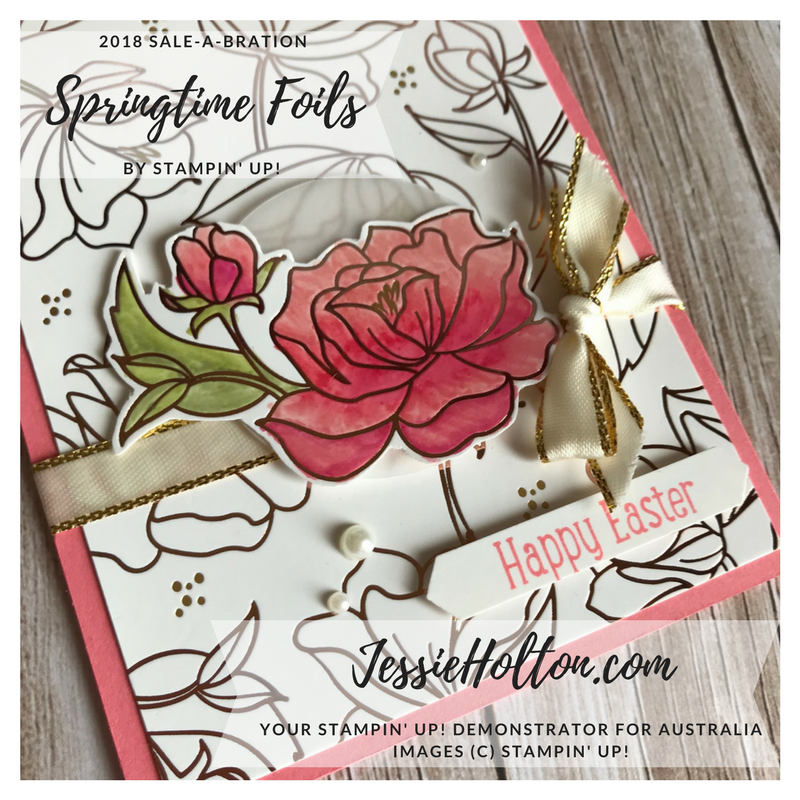 I have decided to use that gorgeous Springtime Foils Designer Series Paper (DSP) from the 2018 Sale-A-Bration promotion. Haven't heard of it? Well here in Australia, you can earn a free product from the Sale-A-Bration catalog with your $90 order (or $180 for a couple of big ticket items). So shop in $90 increments to get the best bang for your buck! See all the items available for free in my online shop. I've used the soon to be retiring Flirty Flamingo - make sure you get your hands on some before it sells out! Stock up now & you can also get Sale-A-Bration freebies! I have coloured one of the roses with Stampin' Write Markers in Flirty Flamingo, Blushing Bride & Melon Mambo & I've used Pear Pizazz & Lemon Lime Twist for the leaves. 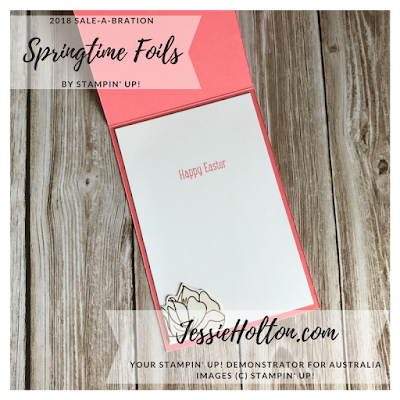 A simple bow with the Gold Metallic Edge Ribbon, some Basic Pearls & the cute sentiment from the Sweet Little Something stamp set & cut out with the Classic Label Punch, inked in Flirty Flamingo. 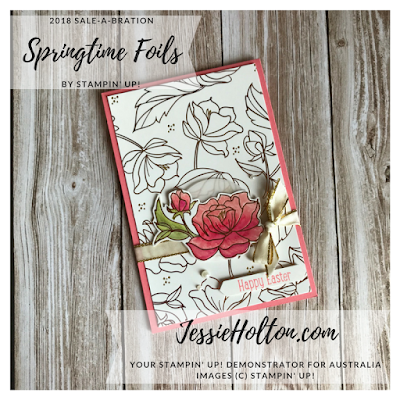 I've stamped the inside to match with a plain fussy cut rose. 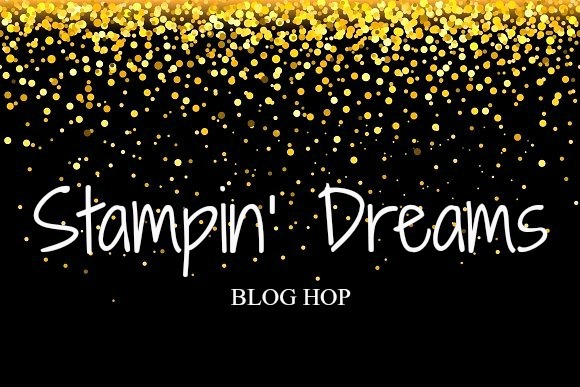 Please make sure you hop all the way around the crew & leave a little blog love along your way! They all have amazing inspiration for you!